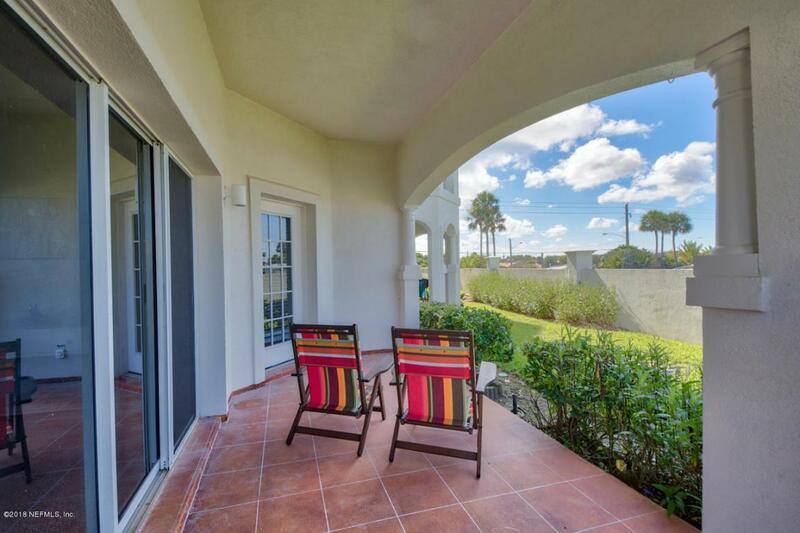 This nicely positioned beachside corner unit enjoys a location that is only steps from the beautifully landscaped pool and barbecue area, yet tucked away beyond the incoming traffic. 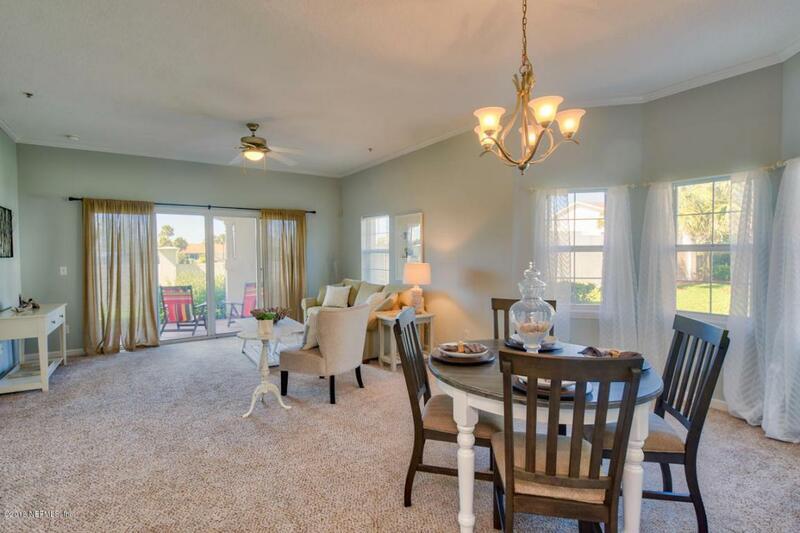 Spaciously accommodating, you will welcome the chance to entertain in this well maintained unit. High ceilings, beautiful cabinetry, and lots of natural lighting keeps the space bright. 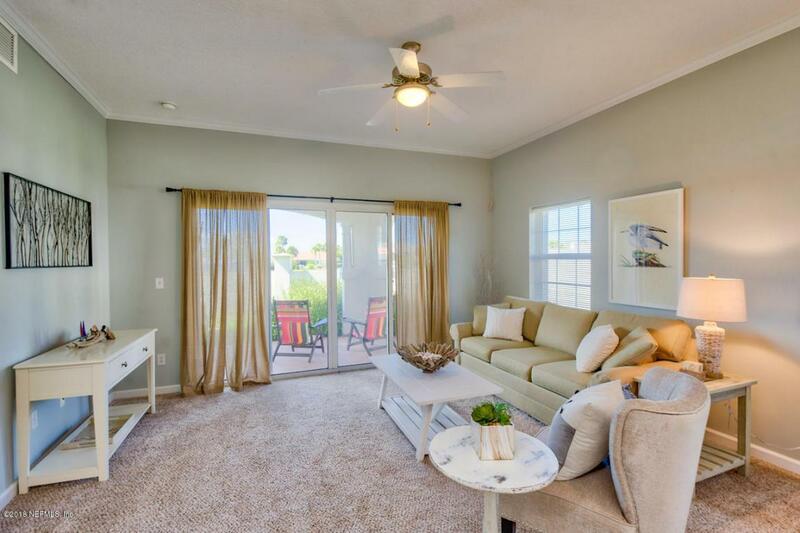 The master relates to a lifestyle of ease and comfort with his and her closets, and a huge soaking tub, plus its own access to the outdoor patio. A coastal retreat that just as easily works for a full time residence as an investment opportunity for rental. 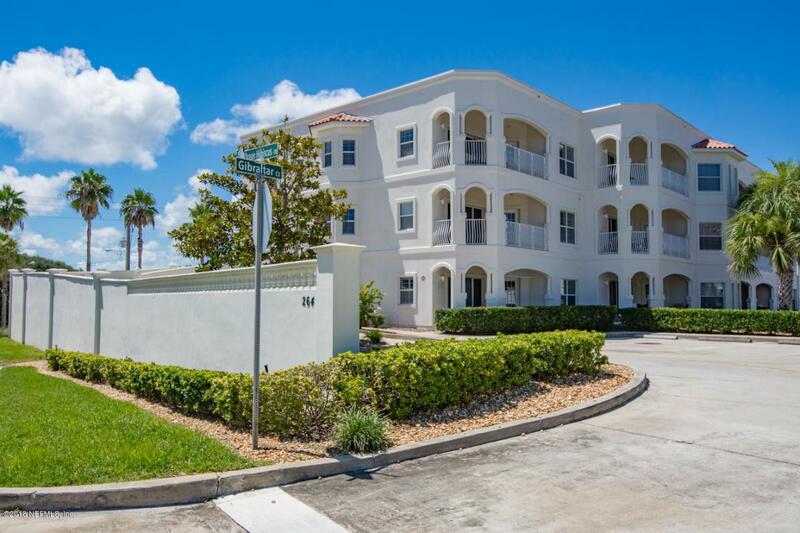 Recently assessed and fully paid painting improvements keep this Mediterranean styled condo with deeded ocean access, pool, tennis, and covered parking garage in condition.Imagine having access to one of the most beautiful beaches in the state. Only a few steps away from your condo is the pathway to a privately gated walkover that leads to the ocean. Enjoy early morning beach walks before the crowds arrive, or sunset meditations at that time of day when the sun plays with the colors in the sky. And of course, there is no better time to cool down in the pool, than after a long day in the sun.